Actor and writer Dan Hoyle will perform “Border People,” a collection of stories of people living across literal and metaphorical borders, on Saturday, September 22, at 10:30 a.m. in the Louis P. Ciminelli Recital Hall at Rockwell Hall as the opening to the Buffalo Humanities Festival. 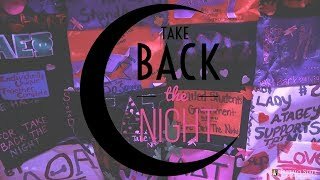 Hoyle's presentation will be followed by several discussions, performances, and community conversations that examine movements affecting social, political, and cultural change. 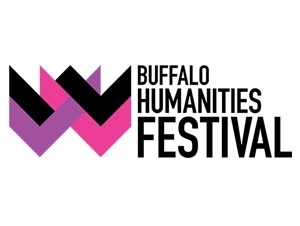 They are all part of the three-day festival, held September 20–22, presented by the University at Buffalo’s Humanities Institute (HI) in partnership with Buffalo State, Canisius College, SUNY Fredonia, Niagara University, and Humanities New York. Now in its fifth year, the festival’s theme is “Revolutions.” The theme partly evolved from the fact that 2018 is the 50th anniversary of the student revolution of 1968, said David Castillo, HI director. The festival will examine big cultural shifts beginning with the American Revolution of 1776 and extending through the current #metoo and Black Lives Matter movements. Buffalo State participants include English Department lecturers and writers Mark Hammer and Ed Taylor, who will present “Revolution Squared” on Saturday at 11:30 a.m. in the Ciminelli Recital Hall; Eve Everette, assistant director of the Anne Frank Project, on “Improve the World One Story at a Time” on Saturday at 1:15 p.m. in Rockwell Hall 302; and Karen Sands-O’Connor, professor of English, who will facilitate the discussion “Revolution, Human Rights, and Angie Thomas’ The Hate U Give,” on Saturday at 2:30 p.m. in Rockwell Hall 306. Thomas, a bestselling novelist and author, will deliver the festival's keynote address on Friday, September 21, at 8:00 p.m. at the Albright-Knox Art Gallery. Her novel, The Hate U Give, which was made into a major motion picture, shines a light on the tragedies that resulted in the Black Lives Matter movement. Buffalo Mayor Byron Brown, '83, will introduce the keynote. A closing reception with music by Autonomous Vehicles will begin on Saturday at 3:30 p.m. in The Plaza (Rockwell Hall Quad). Tickets for both Friday and Saturday events are $30 ($20 for students); Friday night only is $20 ($15); and Saturday only is $15 ($10). A two-pack VIP festival pass is $100 ($70).